— Death toll in Kandhamal road mishap rises to 10. — Sundergarh MLA Jogesh Singh resigns from his post. — Odia actress Nikita’s death: In-laws get more 7 days to appear before police. — Odia actor Manoj Mishra hospitalized at a private hospital in Bhubaneswar for swineflu. — Forest Officials rescue Dolphin carcass from Chilika lake near Dojarkuda area. — BJD will do ‘extremely well’ in 2019 elections: Odisha CM Naveen Patnaik. — DA Case: Enforcement Directorate (ED) to probe money laundering charges against arrested bureaucrat couple Nalini Prusty and her husband Bijay Ketan Sahu. — Maharashtra Cabinet to support ‘Divyang’ people by giving them Rs 3.75 lakhs to purchase eco-friendly vehicles & start mobile vehicle shops. 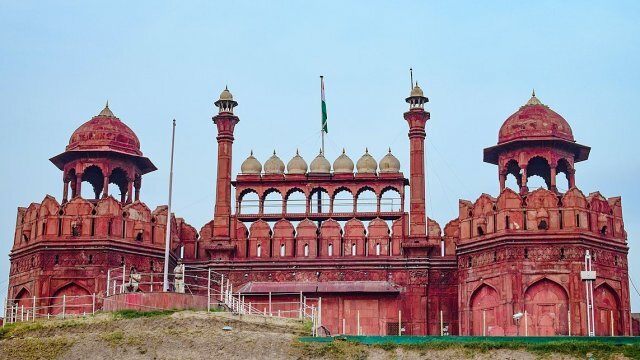 — Red Fort, Delhi to remain closed for public and general visitors from 22nd January to 31st January, 2019 in view of the Republic Day function and Bharat Parv. — Indian Navy begins ‘Ex Sea Vigil’, the largest coastal defence exercise, off the Indian Coast. — President Ram Nath Kovind confers Pradhan Mantri Rashtriya Bal Puraskar 2019. — West Bengal: Amit Shah addresses rally in in Malda. — Former India hockey player Raghbir Bhola passes away at 92. — Portuguese professional footballer Cristiano Ronaldo pays €19 million fine to avoid jail for tax fraud. — BCCI announce Rs 20 lakh cash reward for selectors for Australia triumph.